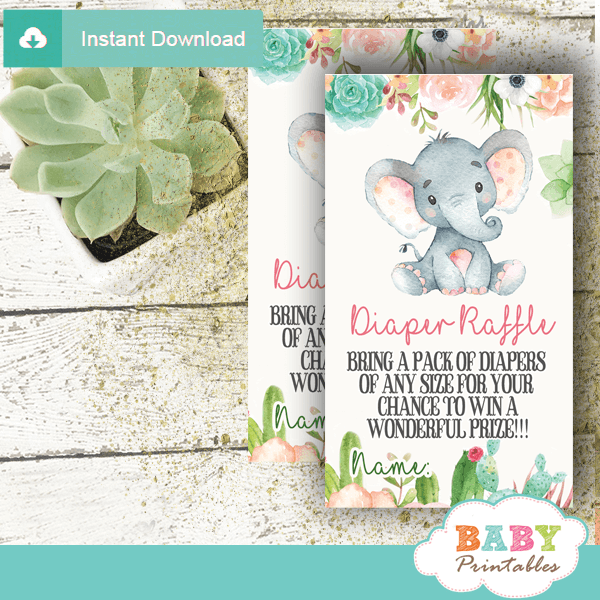 Draw exciting prizes at your little one’s celebration with these Printable floral succulents Elephant diaper raffle tickets. 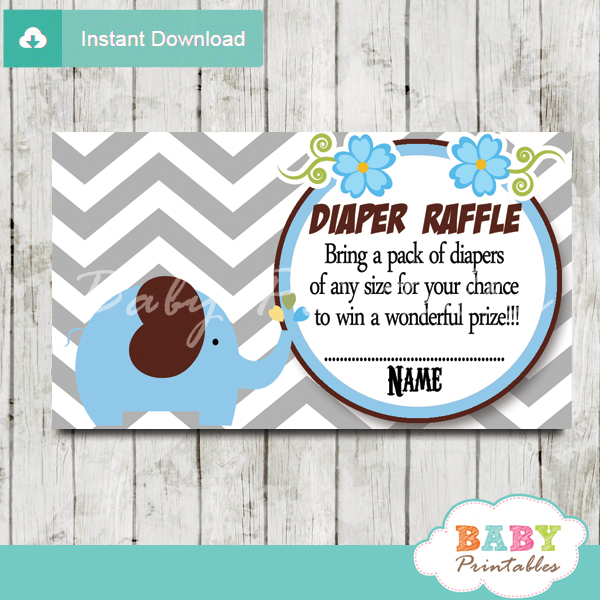 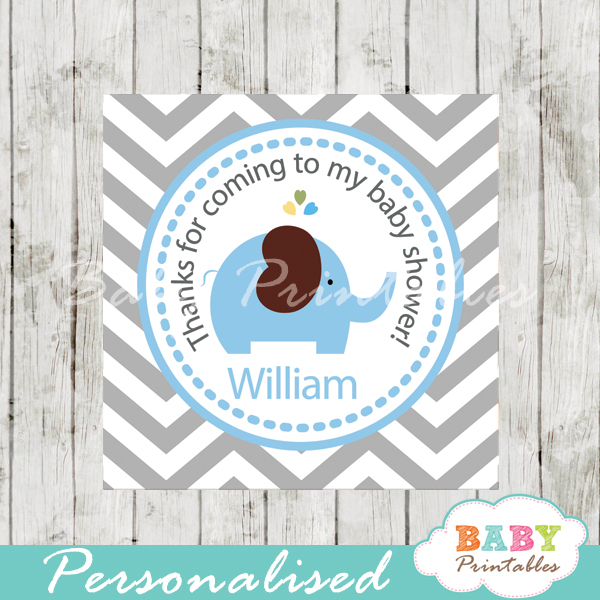 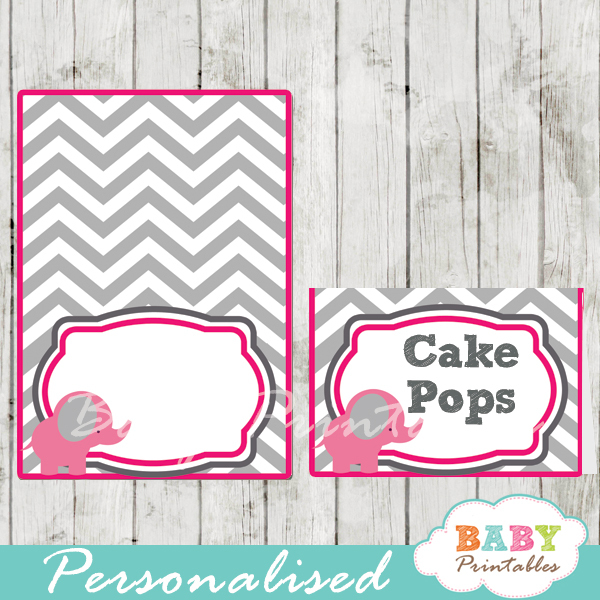 The elephant baby shower diaper raffle game cards feature an adorable baby elephant against a white backdrop decorated with floral succulent plants in fresh peach, green and gray colors. 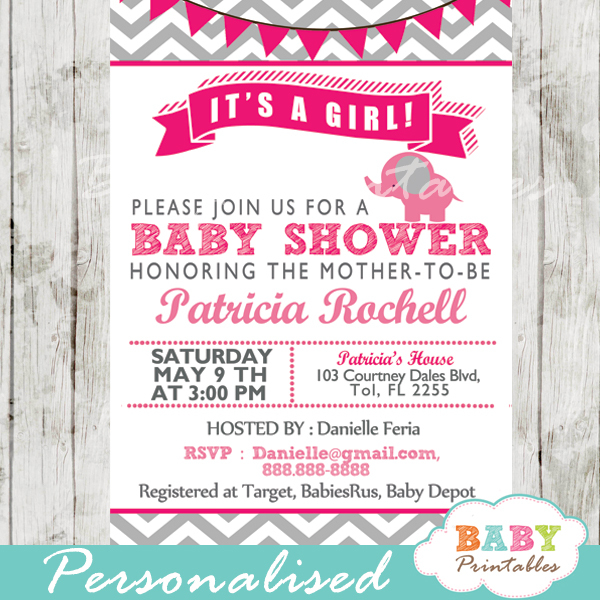 These sweet elephant diaper raffle tickets are perfect for boy, girl or gender neutral cactus theme baby shower.